When I began thinking about this design, I was reading about the intertwined histories of fishing and knitting, and Tom and I were coincidentally (and very happily) going through a kipper-eating phase (Fortune’s are my favourite). 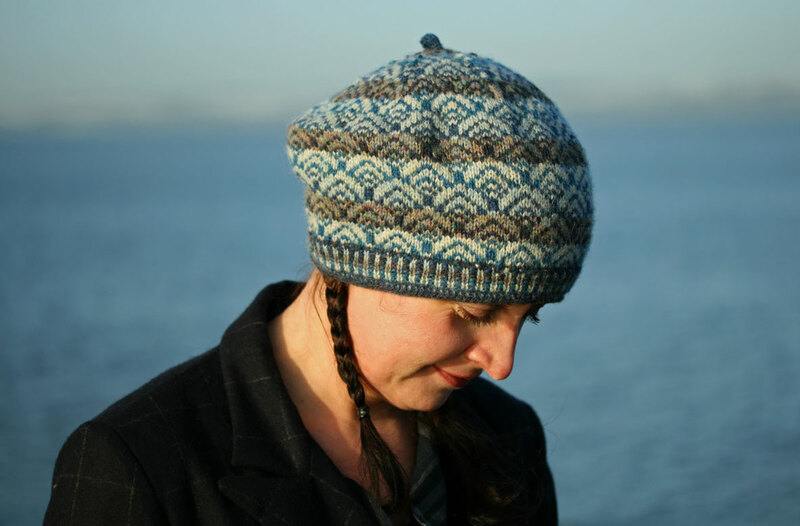 I wanted to make a hat that was an homage to the herring – the humble-yet-once-highly-lucrative fish whose annual Southward migration occupied communities up and down Britain’s North-Sea coast. But after a few repeats, I realised it wasn’t quite what I was after, so I adjusted things, and added in another four shades from my Starmore stash. Success! My scales now moved through graded transitions that were reminiscent both of shoals of herring and the cool light and water of Scotland’s East Coast. Ye gods, how I love Hebridean 2ply. 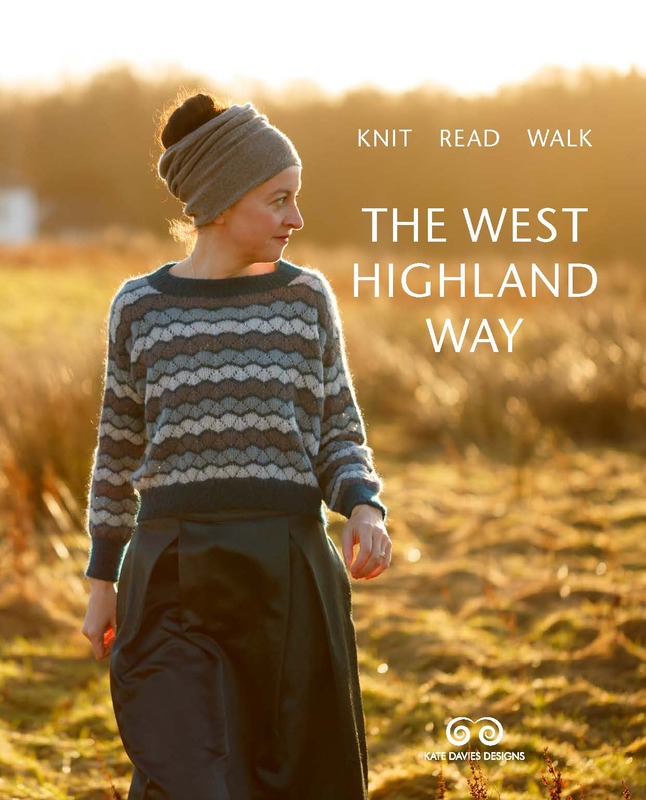 For subtlety and depth it is quite peerless, and the yarn’s colour references in the Scottish landscape can sometimes seem spookily precise. Please to examine in the following photograph how well the shades of the knitted fabric echo those of the water and the wintry horizon. Starmore is a genius. The colours are Selkie, Shearwater, Summer Tide, Pebble Beach, Kittiwake and Solan Goose. For many reasons, I find Pebble Beach one of the most interesting Starmore shades (you can read about its colour development here). It seems almost stridently resistant to being absorbed by the other shades. Evidently, I am obsessed with Pebble Beach, but while knitting this tam I developed a deep love for every one of the colours I used. Solan Goose is top-of-the-milk creamy; Summer Tide is deliciously light and fresh; and Selkie such a rich, involved, brownish-purplish blue. Um, did I mention that I heart Hebridean 2ply? If you hadn’t guessed already, these photographs are taken at Newhaven Harbour, which is a short walk from where I live. The old fish-market now houses a couple of restaurants, but it used to be home to a nice wee museum, staffed by local retirees. When I first visited this museum, I got chatting to a formidably knowledgeable elderly gent, who told me that I would be a foreigner until I had lived in Newhaven for seven years. It is actually seven years ago this weekend that Tom and I moved here. Do you think we can count ourselves as locals yet? This design obviously has local resonances too. Caller means fresh, and “Caller Herrin'” was one of the traditional street cries of the fishwives who carried their laden creels up from the Newhaven harbourside to sell their wares around Edinburgh. This street cry, in turn, gave its name to a song, written in the 1820s by Jacobite poet, Carolina Oliphant, to a tune by master Scots fiddler, Nathaniel Gow. In Gow’s music you can hear the pealing church bells of Edinburgh as well as the cries of the fishwives, while Oliphant’s words play on the notion that the true cost of fish could only be measured in the lost lives of the men who caught them. This sentimental sales pitch might be used by canny fishwives to boost their prices. Ca’ them lives o’ men. Toss their heads and screw their faces. But I am happy to say, that my Caller Herrin does not have the same olfactory effect on those who pass by. . .
. . though you might be forgiven for thinking that I was sniffin’ something fishy from this interesting shot that Tom managed to take of my nostrils. 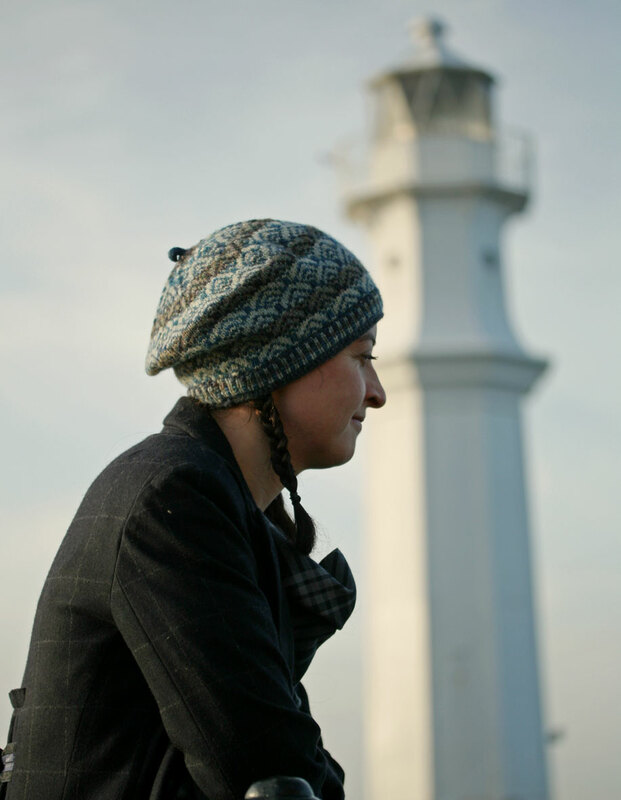 Anyway, if you fancy making your own fish heid, you can buy my Caller Herrin’ here or here. I don’t know if Alice Starmore is a genius, but you certainly are. Starmore’s essay on the color makeup of Pebble Beach reminds me of a story I heard about Georgie O’Keefe. An interviewer asked her if she didn’t find the colors of her desert subjects to be monotonous. Oh no, she replied, when you live here your eyes adjust and you see the multiplicity of colors that make up everything in the desert. I think of this often in the winter; to some people the landscape looks bleak, but if you let your eyes adjust, you see all the colors in in the rocks and the bare forested hills, especially in late winter when the trees take on a heathery violet tone. I’ve gotten the pattern and ordered the yarn. Hope to join the Herrin’ Wearin’ population soon! lovely post and hat . To repeat so many posts here: you are a marvellous artist whose work can entrance and inspire all of us who are fans. I can`t wait for the wool to arrive for this. I loved reading the history to it – it will add romance to my hat! My box of totally gorgeous Starmore Hebridean yarn arrived this morning – just 8 days from the Isle of Lewis to New Zealand – how FANTASTIC is that !! Such gorgeous colours and pattern! I’m in love — I have no talent to make my own but I’m a fan of your skills! Lovely pattern, the blend of colours really seems to make it shimmer like scales. I was really interested in your insipration for the pattern, my grandparents had a scale pattern made of artex on thier living room cealing, and every time I see something similar my mind flocks back to that. It’s utterly beautiful. I grew up in Northern Norway which used to be herring-dependent too; colours like these always leave me slightly homesick. 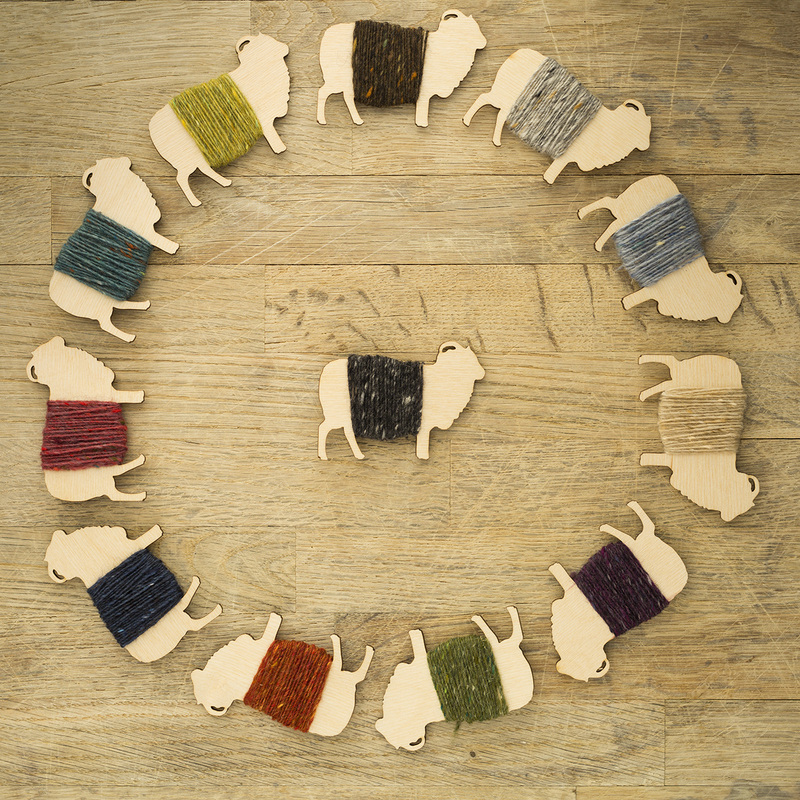 And thanks for pointing the way to that yarn – I didn’t know of it, and now have something new to add to my wishlist. c est tout ce que je peu écrire en anglais . Well done, Kate! I am inspired and now I’m also twice as appreciatively of that tin of herring in the cupboard. You are a gem not to missed—nostril shot and all. I’m off to get that pattern on my needles. What a lovely blog to stumble across! I’ve been admiring your Owl sweater on the Rav for sometime now and decided see about buying the pattern today. That inquiry brought me here and my discovery of your many other beautiful designs as well as your compelling writing. I am now enamoured with your Manu design and am itching to give it a go for my stylish and trendy niece. Think I’ll put the owls on the back burner! 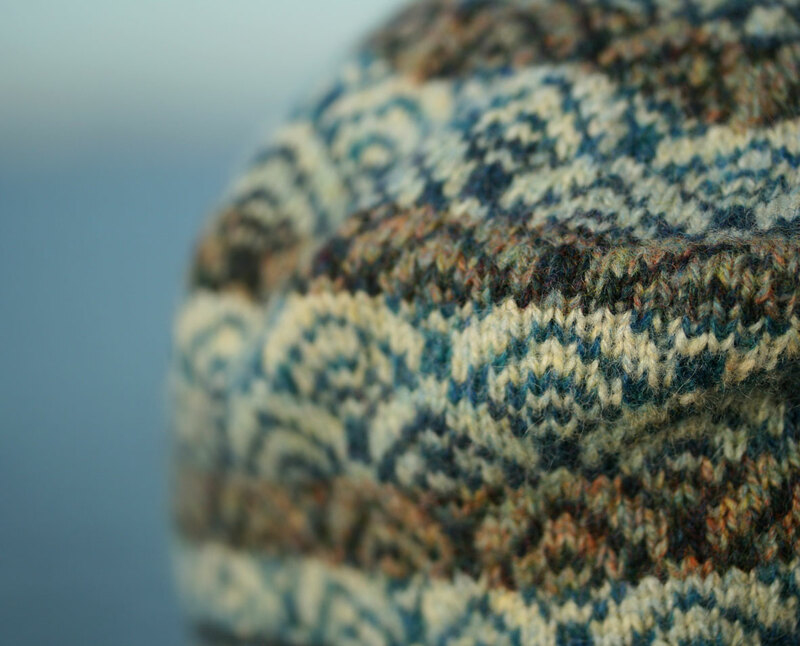 The Tam is beautiful too but I’ve only dabbled a bit with colorwork. Your Tam would be a great project to refine my skills with. I am a huge Starmore fan and just received a big box of Pebble Beach in her 3ply. As you can see I’m a fairly obsessed (but unfortunately pokey) knitter. My mind races much faster than my hands. Wishing you a productive and increasingly strong and healthy New Year! We used to buy fish and chips from a place in Wakefield which had a poster up behind the counter with the slogan ‘The true cost of fish is men’s lives’ – thanks for setting these words in context. This is divine! You have inspired me to learn colour work (I paint, but typically knit in one colour – am missing out!). I loved reading about your inspiration for this work. You are terrifically talented. The colors and the design are in perfect harmony. I love it! Beautiful design, and I loved learning about the thought & history entwined with your creation process. Wow, this is so beautiful!!! 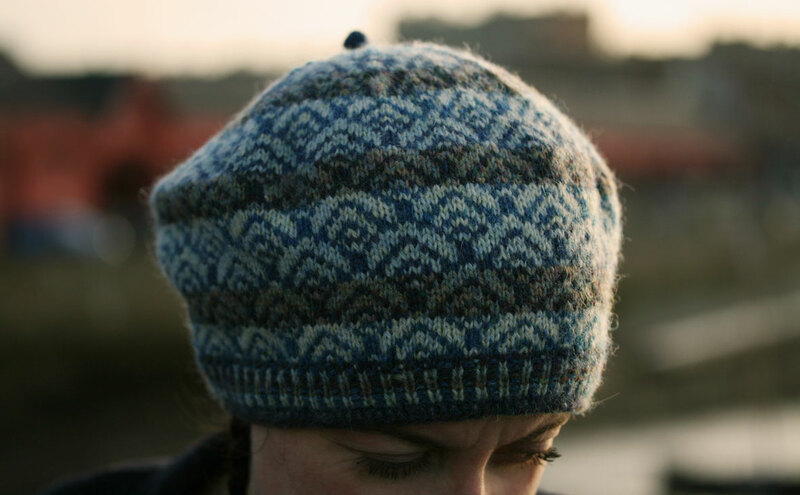 I wish I could knit something so complex – I have never knitted a hat and let alone with more than one colour… Would you suggest something like this for a beginner? I love your photos – as an Scotland afficionado I am totally in love with all of them! Kate, I hadn’t realised you live in Newhaven! I could see my flat in the photo of you sitting on the harbour wall. It’s absolutely beautiful, and the thought and effort you put into the history of the design is amazing. I’m totally blown away by this!! RIDICULOUSLY beautiful! I love it. 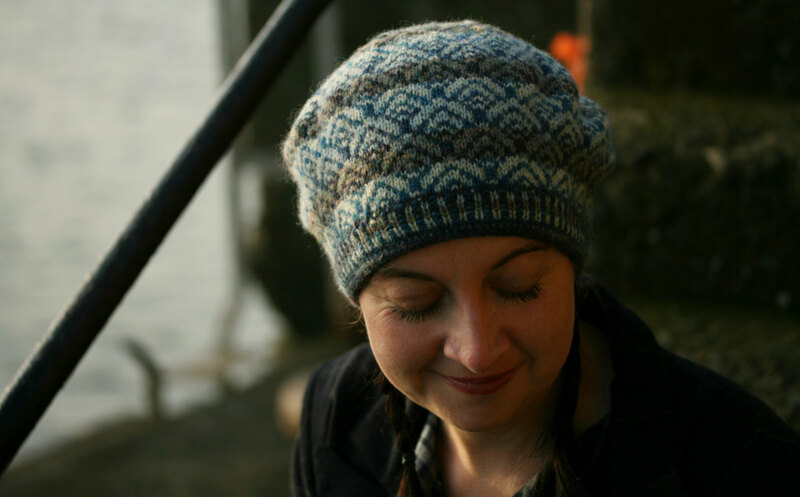 Lovely design, and love the colours and yarn, especially that Pebble Beach, amazing! What a lovely post. I want to get on a plane and visit your town so I can immerse myself in the history! Nice work! I really enjoy the colours you chose. 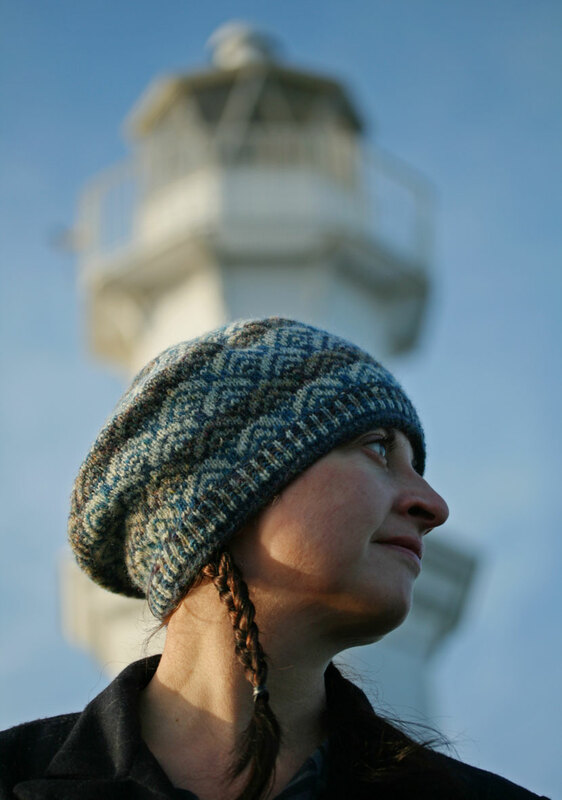 I loved knitting this and your photos and the history and colour observations here are, as ever, astute and fascinating. What a beautiful design!! I wish I could knit like that. Beautiful!! I found the whole post really interesting, and love your synthesis of the past and the present. You’re so right about the AS colours too. 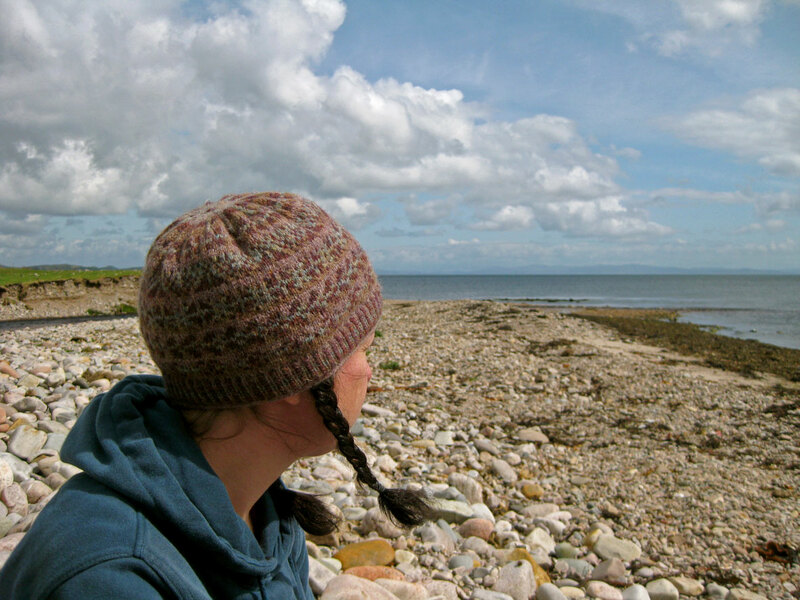 Knitting with them is a constant delight; changing colours in the knitted piece is more than colourwork knitting, it becomes almost an imagined exchange with the Hebridean environment, and extremely satisfying. Superb pattern and intuitive choice of colours. Quite magnificent. Kate, you’re such talent lady. I enjoy reading your blog not just because of your knitting and desingns. Your blog also gives lots of other interest subjects to read. Keep up and take a good care!! I love your wonderfully descriptive way of writing. When I think I am looking at a new knitting pattern I find I am learning about colors and oceans and beaches and fish scales and the coloring of knitting yarn and a part of the world I have yet to visit. It is a delicious experience! Thank you. Love it! Working with some of Starmore’s yarn is now definitely on my knitting to-do list. thank you for the kippers link, i think my chances of getting one in albuquerque are slim. a beautiful post; when you apotheosize hebridean two-ply i always think of finlay j. macdonald. was it you who turned me on to this? in any case, the mysteries of color and the beauty of fish scales and seven years in newhaven? god bless. It is beautiful and so is your writing. It’s simply splendid! I can’t wait to knit it. Of course I share your love (er, passion?) for AS 2-ply, which is why I have all these colours sitting in my stash, waiting for the perfect pattern. Thank you for sharing your inspiration for Caller Herrin’. I always enjoy the back stories to your patterns. I also have a whole sweater’s worth of 3-ply in Pebble Beach. It’s so good. “Almost” too good to knit with. But I will eventually find the perfect pattern for it. Any chance you might design an Aran-type sweater in the future? I love this hat, the photos, but most of all the story. Thank you so much for putting all this into a historical context. 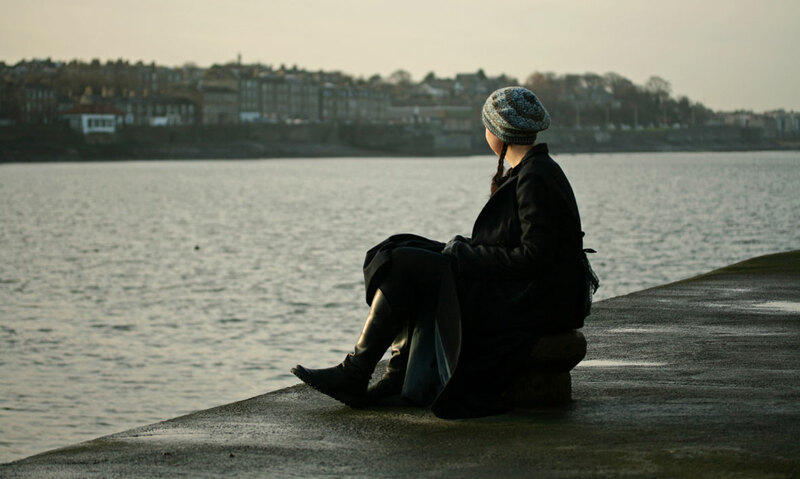 It’s a very romantic and inspiring story of brave, strong women and a fishy locale. And I don’t think Alice Starmore is the only genius here, your design is a gem. Caller herrin’ is breathtaking…i love when i see that you have a new post because i know it will be thoughtful, enlightening and inspirational. Oh, I just love your Caller Herrin’ and what a wonderful way to design. I cannot agree with you more about Hebridean 2-ply. I am knitting my son a jumper in Bogbean and as I knit all sorts of greens and tiny glimmers of this and that fly through my fingers. It is a joy to knit with. I also imagine it hanging in great skeins to dry with the Atlantic winds blowing through it – very romantic. Anyway, I just love it too. Your post today is just fascinating. Thank you. Not only do the colors echo the water, so does the design. The hat looks like it’s in motion. How did you do that? Oh, I share your love of Hebridean 2 ply! 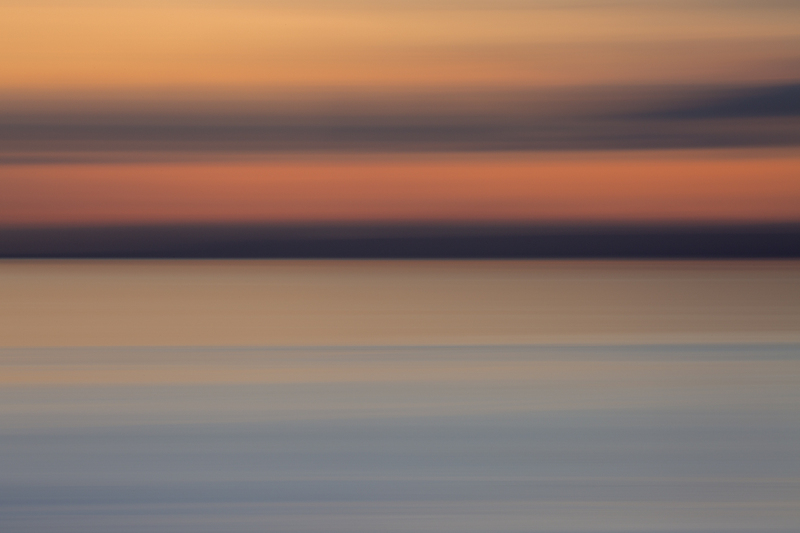 The colours are beautiful evocations of the landscape that I’ve only seen briefly. I only wish that there were such interpretations of the Australian landscape. I knitted a blanket for my niece using a Starmore pattern and yarn and the colour changes were entrancing. The tam is beautiful. What a great post! Its very nice to follow your design process like this. And as always: beautiful pictures! Way cool! Is this considered Fair Isle knitting? Such an interesting post, and a beautiful creation. I agree with you completely about Starmore’s genius. I was interested to read in one of her recently reprinted books that the thing she’s most proud of having accomplished was writing a scholarly article about the dragonfly! That ‘Brilliant’ was a happy, well-done-you brilliant, by the way! It reads as though I was being sarcastic, Sorry! Brilliant. Now I really, really do need to get myself working with more than one colour at a time. One of my favourite FOs used similar pattern, but the colour transitions you’ve added has worked a treat – really adds to the movement inherent in that sort of wavy shape. I have added this to my Kate Collection–who knows when I’ll get around to knitting it. :-) The added beauty of your patterns is the background research and the photos of the area–even if the blog was lost, and I never knit the herrin’, I’d see this in my mind just looking at the picture on the pattern. I fear that trying to knit this with any other yarn than the Starmore yarn would be, well, plain stupid. Will investigate yarn procurement. It’s a beautiful, beautiful hat! You are beyond gifted. Not only is the design divine but so are your considerations in regard to its design. Please, please come to New York so we can fete you properly. All good things & a wonderfully peaceful and healthy New Year.